Subject: How Many Cryptocurrencies Are There to Buy? There are 1,381 cryptocurrencies listed on CoinMarketCap.com, but not all of them are worth buying. 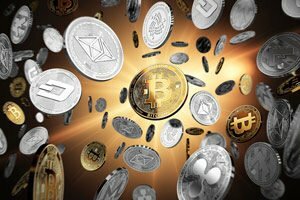 But the number of cryptocurrencies and investment dollars going into them is no surprise considering the staggering gains these coins can bring. Currently, cryptocurrencies have a market cap of $658 billion. But by 2018, billionaire trader Mike Novograntz believes the crypto market cap will reach $2 trillion. Remember, that market cap will be made up of more than just Ethereum, Litecoin, and Bitcoin. That's why those other 1,378 altcoins look so appealing. And because more and more investors will look for less expensive cryptocurrencies than the ones mentioned above, we wanted to share two important tips our readers need to know. Investing in this market is very risky. The price of a well-known coin like Bitcoin could climb to $50,000 just as easily as it could collapse to $5. Like with any investment, never risk what you can't afford to lose. And to limit risk, investors have to perform their due diligence before making a decision on whether to buy a crypto coin. Unfortunately, the amount of information to review can be overwhelming, and a lot of investors don't even know where to start looking before making a decision. That leaves people making a hasty decision they could end up regretting, or they will sit on the sidelines and watch other people get rich. That's why today, we want to simplify the process of buying cryptocurrencies for Money Morning readers with two easy-to-follow strategies for crypto investing from our Cryptocurrency Expert David Zeiler. And by following Zeiler's roadmap, Money Morning readers can make smarter cryptocurrency investments. The first strategy is evaluating the leadership behind a coin, which will help you avoid scams. How and from where I can buy?